Whether you are newly diagnosed, are undergoing or have completed treatment, or are caring for a loved one, you will find strength and hope in There Is Life After Breast Cancer. This full color, 142 page book features original stories, poems and artwork from contributors all over the world. These inspiring breast cancer survivors and their loved ones share their courage and wisdom by creatively reflecting on this life-changing experience. 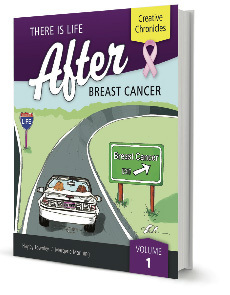 There is life after breast cancer.